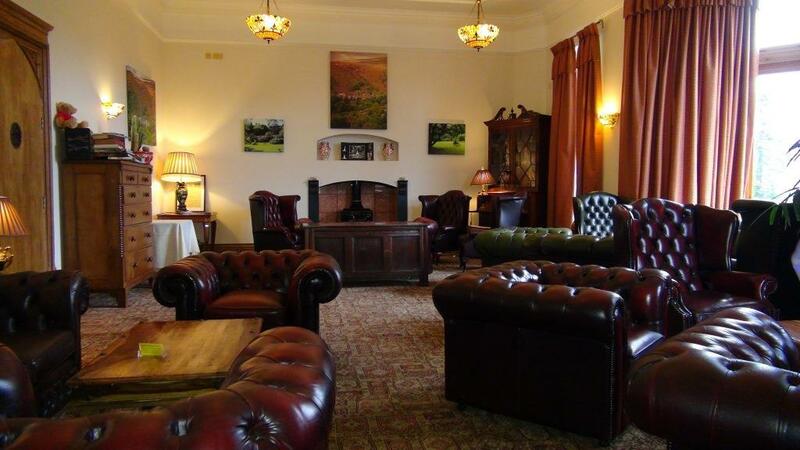 Craig y Nos Castle has many reception rooms, offering parties of any size the opportunity to socialise in a comfortable environment. Your guests will gather in the Nicolini Lounge before heading for your wedding breakfast in the conservatory. 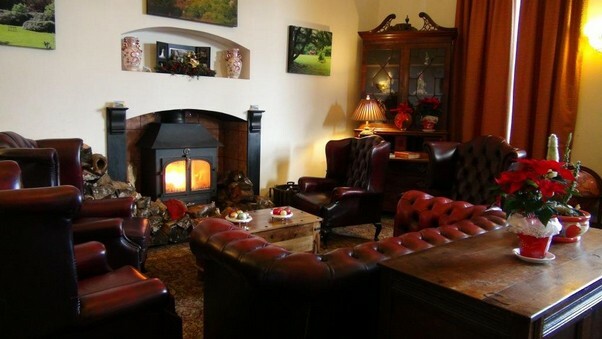 The first room that you see upon entering the Castle, the Nicolini Lounge features a wood burning stove, sumptuous leather chairs and traditionally elegant decor evocative of the room's history as a reception room for visits by nobleman and Royalty. 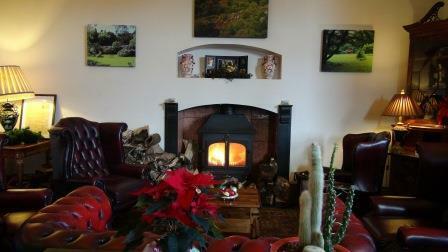 See our Reception Lounge Slide Show. This spacious sitting room is perfect for formal entertainment and for offering your guests a customary glass of champagne. Welcome drinks can be served on top of the oak chest, and we can arrange the glasses to spell the name of the bride and groom, or to display a special message. 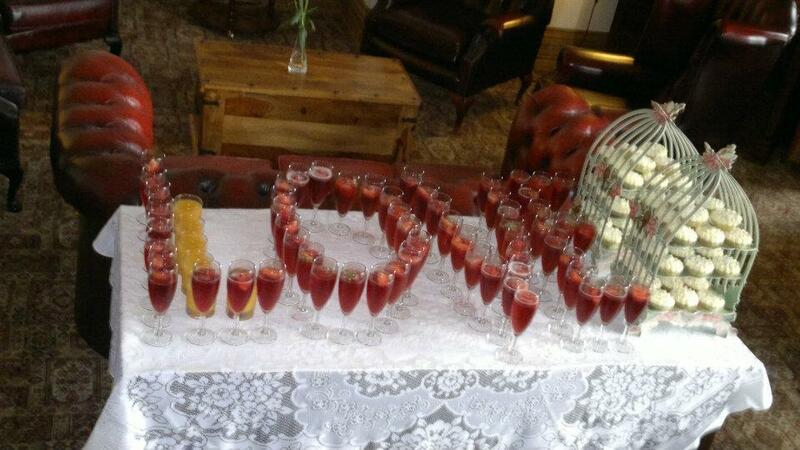 Welcome drinks may be arranged to spell L O V E, or the Bride and Groom's initials. See Welcome Drinks Designs for inspiration for your own Welcome Drinks. Welcome Drinks are served after your Wedding Ceremony and before the Wedding Breakfast. 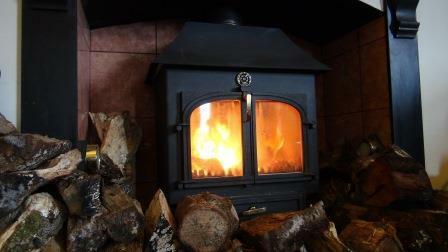 Your guests will only see the larger Wedding Breakfast room, once you are ready to dine. Situated away from the main function room, where the music, laughter and dancing is in full swing, in the evening the Nicolini Lounge becomes a quiet restful place where you can catch up with relatives and friends. 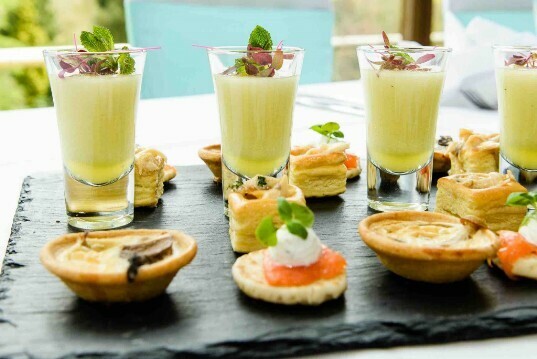 Canapes are now more fashionable served with Welcome Drinks, to stave off hunger pangs between the Ceremony ending, and the Wedding Breakfast banquet commencing. See our Canapes Choices here. 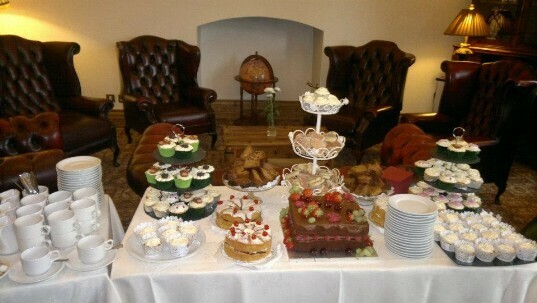 Your guests will be quite hungry after the Ceremony, which is at the time most people have their Lunch. Welcome Drinks are served after the Ceremony, but you need to allow around 2 hours for the Wedding Photographs, after the Wedding Ceremony before you can sit down to your Wedding Banquet. It'll be 2-3 hours after their normal lunch time that your guests sit down to dine and by then they could be getting very hungry. 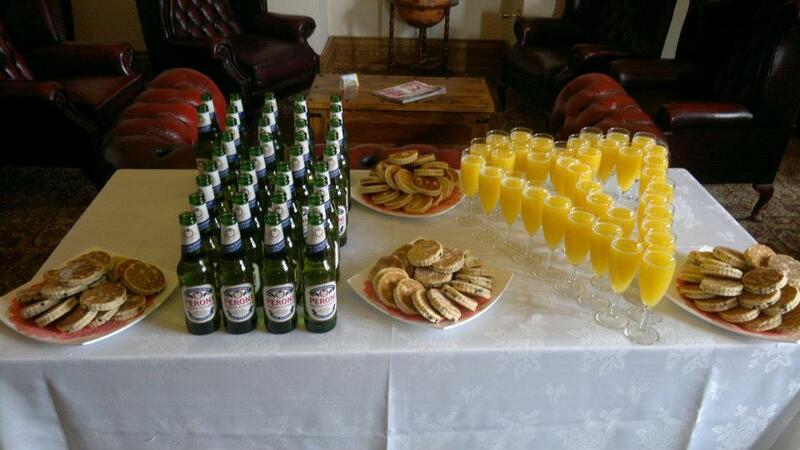 We therefore recommend all Brides offer Canapes with their Welcome Drinks. 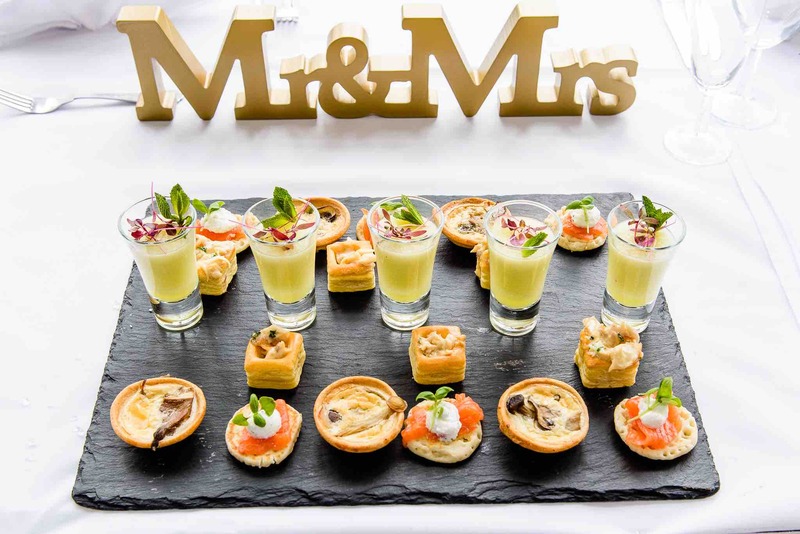 As you can see below, canapes complement the Wedding Drinks display in the Nicolini Lounge. You'll have your welcome drinks on display, arranged to spell your initials or 'LOVE', but you'll also have a lovely table of Canapes for guests to enjoy with their drinks.